It causes us to think about the other unusual creatures that are especially admired in other cultures. And, once that train leaves the station, it is no time before we wonder about pets from parts of other worlds. We’re not talking about space—though that would be a great conversation for another time. The deep sea has countless unusual creatures and, of course, the lost city of Atlantis where the merfolk hang out all day looking at the strange treasure troves of trinkets they’ve uncovered from things we surface-dwellers have lost. Obviously, the typical family pets there are going to be your fish for small homes, the shark for larger arenas, maybe a whale now and again if they have enough space in their back yard. But, the sea has so many weirdly adorable creatures that we just yearn to have a visit with ourselves. So, that brings us to this delightful offering. 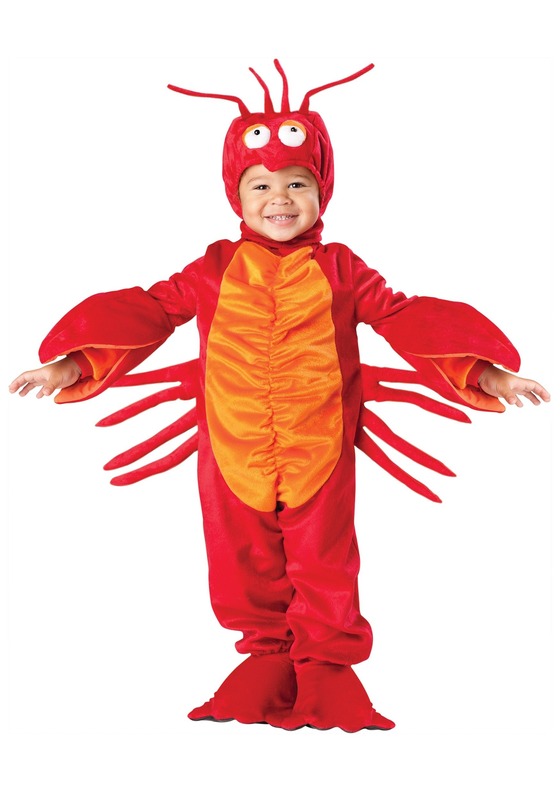 Transform your little kiddo into this adorable little monster with this Toddler Lil Lobster costume. This red polyester jumpsuit zips up the back and has a bright orange spot on the tummy along with four plushy legs on each side. The sleeves end in pincer-like claws, though your kiddo’s hands can easily extend out or hide within to more look the part. The hood features two googling lobster eyes and antennae and fastens with Velcro under the chin. Join with a larger lobster costume yourself or become King Triton and have a delightful song together about the joys of being under the sea.